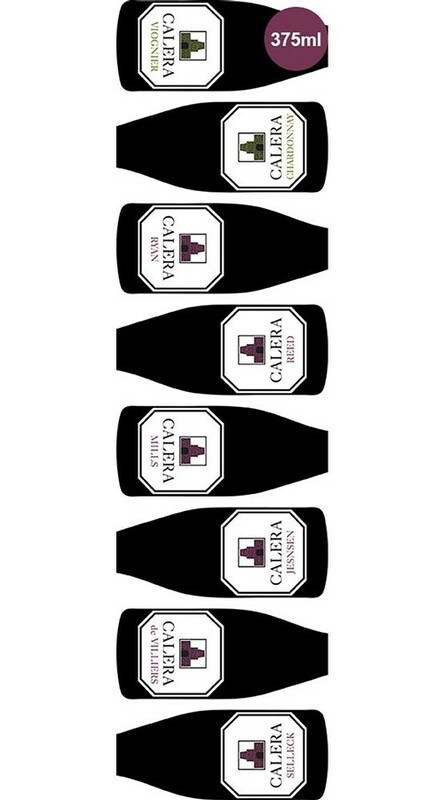 Calera's sampler pack (8x375ml) makes a great gift. Includes Mt. Harlan's Chardonnay, and Viognier, and ALL SIX of the highly acclaimed Pinot Noir vineyards planted up on Mt Harlan. Highly acclaimed, small production, and extremely distinctive Pinot Noirs from our very unique high elevation (2,200’) limestone soils; each with its own different aspect around the mountain. Six very different personalities, each in fact named for very special gentlemen important to Calera, make a fascinating comparative tasting. the reds were amazing, the Selleck and Jensen in particular were standouts. unfortunitley the two white wines were completely oxidized when the arrived in oregon. the weather was very hot or cold when I received the wines in late september. I have been ordering this package for nearly 20 years and have always been pleased. not sure if this is because of the duckhorn distribution or just a one off.